Care staff are often too overworked to have time to take elderly people to the toilet, give them a wash or console those in distress, according to a report published today (Friday) by UNISON. The report, Care in Need, highlights that the crisis in England’s care system is escalating, with more than a quarter (28%) of care workers not having time to bathe, shower or wash the people they care for. The findings based on a survey of nearly 3,000 care staff across England looking after people in need show there is even more urgency for reforms, says UNISON. The union says the long-awaited green paper on social care must include plans for real investment in the care system. Nearly one in five (19%) survey respondents say they are even too rushed to take people to the toilet, and a similar proportion (21%) do not have the time to prepare food or drinks for those they support. Nearly half (48%) of care workers responding to the UNISON survey said they do not have adequate time to support those in need with dignity and compassion. Staff shortages and ever-increasing rationing of care are to blame, says UNISON. This means care workers are leaving vulnerable and elderly people while they are upset or in distress – two in five (40%) staff said they have had to do this. The reason is they have no option but to move on to the next appointment and the next person in need, says UNISON. More than two in five (41%) care workers do not have time for a chat, even though nearly a third (31%) say friends and family do not regularly visit the person they look after. Care in Need also highlights how intolerable working conditions are pushing care workers to the brink. Nearly half (49%) are thinking of leaving their job, with low pay given by those who responded as the main reason (73%), followed by not having enough time to deliver care (53%). Others (15%) said lack of training was a factor for them wanting to quit, with nearly a quarter (24%) believing they do not get enough specialist development to care for people properly. More than one in ten (14%) said they were carrying out medical tasks they had not been trained for, such as giving injections. Care employers need to do more to support staff and listen to their concerns, says UNISON. More than a third (36%) of the care employees surveyed who raised a problem about care standards with their boss said the issue was ignored and some (7%) even got into trouble as a result. More than half (55%) do not feel respected and valued by their employer, and more than two in five (41%) say they are not treated fairly. There is a clear need for care workers to be recognised properly as trained professionals, says UNISON. An overwhelming majority (94%) of respondents want an official register for care workers to be set up similar to those that exist for doctors and nurses. Ahead of the green paper on social care, the vast majority (81%) believe existing taxation should be used to pay for better care. 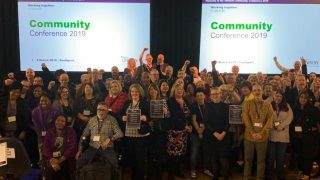 UNISON assistant general secretary Christina McAnea said: “Care workers and those they look after are suffering because the government isn’t listening to those on the front line. “Care staff try to do their best, but the system is increasingly stopping them from providing dignified support. Elderly and disabled people are ending up lonely and without their care needs met. –The survey of 2,751 people was carried out between 31 July and 28 August 2018 and included care workers in residential homes, providing nursing care and supporting people where they live. The majority were employed by private companies (52%), local authorities (30%) or voluntary organisations (16%). The full survey is available here. –Local authorities reduced spending per adult on social care by around 9% between 2009-10 and 2017-18 according to the Institute for Fiscal Studies. 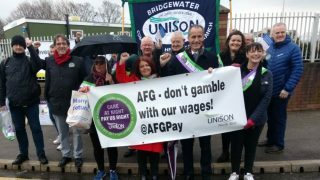 –UNISON is calling on the government to invest in care so workers have the time to perform more than just basic care duties. 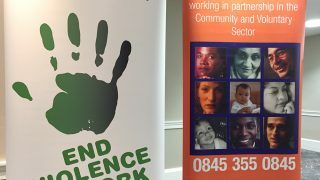 – Former care worker and mother Nicole, 33, from Taunton in Somerset, says: “The high stress, low pay and lack of progression were to blame for me leaving. – Agency worker David, 70, from Greenwich in London, says: “The time I have to deal with people we support is far too short.